Aleister Crowley--controversial, a prolific writer, a true free spirit that lived wild and free, and a top notch magick practitioner with keen intellect, summarizes who he was. He lived his life the way he wanted to, and let nothing hold him back. He could be described as a hedonist, but was not without discipline--with what he achieved in his lifetime in volume of writing alone, with him few others could compare. And with what he achieved in magickal pursuits; again, few could compare. There is no doubt that he was loved by many and also reviled by many; ergo much has been said of him and much of it's foundless. Those who thought lowly of him told lies and exaggerated dilute partial truths, while those who thought highly of him at times made claims that were groundless, to appear as being closer to him than was factual. Furthermore, what was said long ago about this legendary magician, still carries on today. That's why we are going to sift through a few common myths--to see what brought them on, and see what the truth inside them looks like. But first, one could ask, why would Crowley sacrifice a frog anyway? Well, it is commonly held that it was done in order for Crowley to officially achieve the grade of Magus. And reading around it seems that everyone and his dog believes that a frog was killed, but that doesn't make it so. 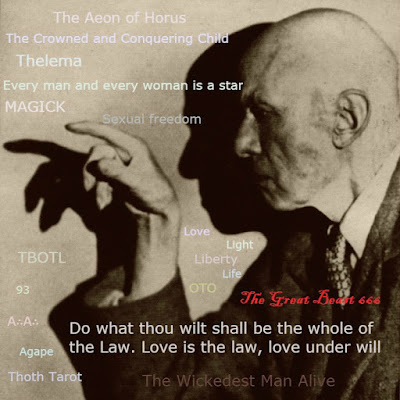 In the book "The Magick of Aleister Crowley: A Handbook of the Rituals of Thelema," Lon Milo Duquette states that Crowley did not engage in animal sacrifice in matters magickal and spiritual. I tried to contact him to gain clarity, but failed. However, I consulted another long time OTO insider--Bill Heidrick, who is a veritable icon within Thelema. He told me that in Crowley's time and in an area he spent time in--New Orleans--there was a frog crucifixion ritual that had been traditionally performed, and that no one raised an eyebrow at that sort of thing back then. It appears that Crowley was influenced by that. And thus, said ritual potentially (and likely) took place. 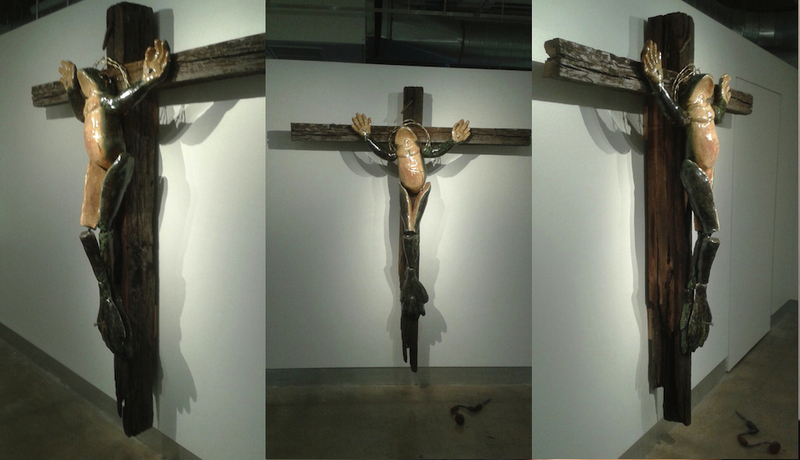 Crucified frog sculpture; Image linked to source. Reading the outline of the frog crucifixion ritual, it's clear that it's all about symbolically disengaging from the old Aeon. It was not a game he played, it was not for fun, and it was not evil. To provide a clearer perspective of how far less than evil it was, quoting Mr. Heidrick again--"People were rather cavalier in those days, regarding the suffering of animals. As late as the 1960s it was common practice in high school biology lab to kill one and cut it open while the heart was still beating. That's been replaced by less gruesome acts than vivisection in modern high school, for the most part. In Crowley's time, people would not have thought much about it at all. Not nice, of course. Less nasty than Spanish-style bullfighting, but that's still done." I conclude this section here by quoting three people. 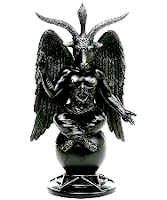 My friend Adam K, who said "remember, people still believe that Crowley sacrificed children, because they don't understand the metaphor"; Lon Milo Duquette, who in the book referred to above stated, "even though there are what appear to be references to the practice in some of the Holy Books of Thelema, animal sacrifice plays no part whatsoever in the magick of Aleister Crowley." Last but not least, quoting the entire ritual in question. However, rather than to actually quote from it I urge you to read it, as it's clear that said ritual was an important symbolic and magickal expression of justice; the justice already alluded to--the obliteration of the old aeon (that of Osiris) in preparation for the new, an aeon of truth and liberty--the Aeon of Horus. 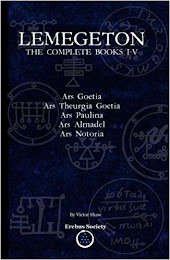 Thus in its way the ritual effectively summarized Crowley's greatest life work--Thelema. Sources have been quoted and paraphrased within this piece; certain comments were edited to streamline them, in order to obtain a better fit. Final edits were approved by their source where appropriate, including ones relative to the content below. "Sure there will still be those who believe that Crowley killing the frog, if it even happened, was wrong, and perhaps evil. To them I say, consider this for a moment: this is how pigs, goats, sheep, cows and calves are killed for our consumption--an electrical current is zapped across their heart or brain (it may seem humane, but would you like it done to you? I didn't think so), and the animal is made unconscious before being killed. In industrialized slaughterhouses, chickens are shackled and dragged through an electrified water bath; and humans collectively allow this. But I digress..."
"Those who buy meat and products made with animal ingredients, usually just don't consider an animal's death being part of it, even imagining that it somehow doesn't happen or that 'experts do it painlessly.' Crowley's religious birding and small animal offing seems to have been rare, to judge by his diaries and accounts of those who knew him or lived with him. People still boil live lobsters, take the occasional chicken from the back yard, and hunt and fish for sport. And cannibalism is still celebrated in Christian worship in a symbolic manner--consuming the flesh and blood of Jesus Christ once a week in the forms of bread and wine. People just accept what is normal from their childhood, no matter how weird it may be to those not brought up with the behavior. There's no reason Crowley wouldn't stab an occasional dove for a ritual, since he was exposed to such conduct for preparation of meals and the like throughout his childhood--as pretty much everybody's great grandparents were in Western culture." "I have no reason to even imagine that Crowley actually killed any human or even large animal in that way (hunting large animals, another matter)--he may have shot some footpad who tried to mug him in India in self-defense one dark night, but was so shocked and frightened by the possibility that he fled the country--this from his autobiography." "I am one who does not believe that the execution of a human being is justifiable under any circumstances. 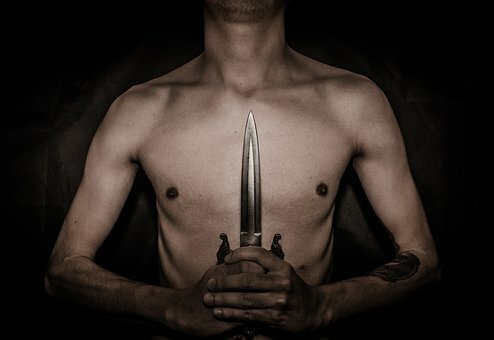 An informed end of life request is another matter, as is self defense. But vengeance and punishment to that degree appear to me to be an admission that society itself is too morally and financially impoverished to behave with the common decency of an ordinary reptile." That last quoted sentence, sounds to me like something the Prophet of the New Aeon himself would have said. No great wonder though, given its actual speaker devoted much of his life to Thelema. Thanks for the words of wisdom, Bill Heidrick, that will serve to shed greater light, onto who Aleister Crowley really was.